Either Social Europe or a liberalised EU would mean the troubled euro for all EU Member States. Either or both policies would entail them being common policies across the EU. Neo-liberalism is just another term for letting capitalism rip and damn the social consequences. The hyped up conflict between social Europe and liberal Europe is false but does assume that each of the 25 Member States would join the eurozone. The ten new Member States who joined last year in May are to join the euro according to their accession treaties. That would leave three countries outside the single currency, Britain, Denmark and Sweden. The highly unpopular EU state Constitution stipulates that the euro will be the currency of the EU. So, even these states would have had the euro imposed if all 25 states had ratified the Treaty for a European Constitution. As part of the federalists thrust towards an EU state they are stoking up the subject of a Social Europe and use the single currency as a staging post. The long established definition of the EU single market in which those who work find themselves is defined as - the free movement of capital, services, goods and labour. 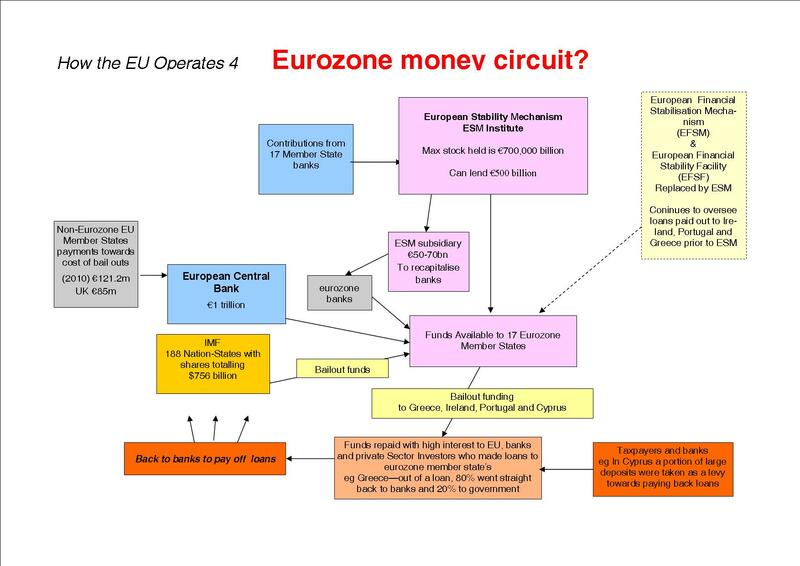 The single currency, or more properly economic and monetary union, is controlled by the European Central Bank (ECB). The ECB is managed by governors of national banks of the Member States in euroland. Each of these banks is separate from the National government and outside the control and influence of government ministers and accountable to nobody. A major criteria of the ECB is to keep inflation down as part of a one policy fits all 13 Member States - whatever the economic or social effects on these States and the peoples who live in them. Add all this to the Directive on Services and a real quagmire is formed for trade unions and all who work for their living to walk into. Wages, conditions of service and social protection will be stripped away. In contrast if Member States had their own currencies, they could follow whatever social policy they wished and could let the exchange rates take the strain. Each country would be able to have policies to control their economies and social protection within the welfare state. The alternative to the EU is now firmly on the agenda as they say. This would involve returning to Member States the powers to control their own economies and to have once again their own national currencies. 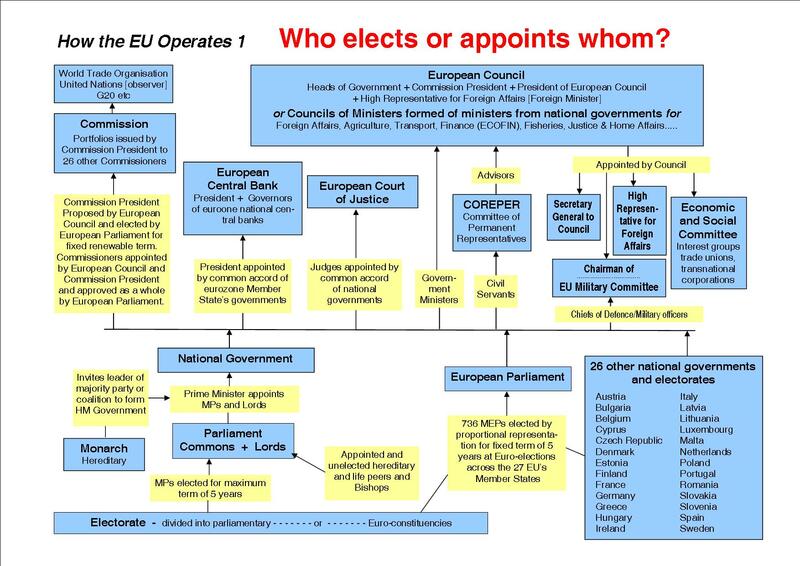 This is the rational way forward out of the present crisis of the EU and one more reason for demanding the pointless ratification process of the Constitution be brought to an end.